The Wheels Come Off the Beall express… Beall's first sentence may qualify as “not even wrong"
The story picks up from there. The Serials Crisis is Over. That first sentence may qualify as “not even wrong.” Beall’s evidence that the serials crisis “gave birth to the open-access movement?” I guess because Beall says so. Just to be clear: If all scholarly journal publishers agreed that, for every academic library in the world, the total cost for all scholarly journals would be, say, 20% of the library budget (which would be much lower than what most medium-sized and larger academic libraries spend now), that would not eliminate the need for OA. Just for starters, it would not provide any access to me or any other researcher or layman who’s not affiliated with an academic institution. In any case, that’s not likely to happen, and the serials crisis is only “over” to the extent that academic libraries are being slowly bled to death by journal costs rather than being rapidly bled to death. Price increases are still much higher than inflation; even Harvard can’t afford all the journals they’d like to have. The rest of the post consists of Beall’s “evidence” for the serials crisis being over. What evidence? · The first is an assertion within a report (not in any sense part of the scholarly literature) to the International Association of Scientific, Technical and Medical Publishers—a trade group that wants to believe the crisis is over. · The third is, astonishingly, excerpted from an interview with Derk Haank, at the time CEO of Springer and formerly chair of Elsevier Science. Is it any surprise that Haank says the crisis is over? The fifth? Eureka: this one does specifically say that the Big Deals “essentially resolved the serials crisis by 2004.” It’s behind a paywall. It’s a short communication, not a scholarly article, appearing in Learned Publishing (when I had a full article in that publication, it was not peer-reviewed). Oh, and it’s by Jeffrey Beall—the piece appears to be another attack on gold OA. So his one solid piece of evidence is…quoting himself. Go through that list again. I don’t know about you, but it strikes me as remarkably thin. The first comment, by Steve Hitchcock, is interesting— as it accepts the quotes at face value (which I’m not prepared to do for either Haank or Beall): You make two assertions in your opening sentence: 1 there was a serials crisis, 2 this led to open access. Your selective quotes do not show either, so it is hard to justify your headline point on this evidence. What your quotes may show, however, is that the serials crisis was about journals pricing, and the Big Deal was a response to that. But the Big Deal is not open access, and the case for open access is not over. The main case for open access is free access to public- funded research. The big deal does not solve that, and actually worsen the situation by consuming library budgets in favour of those big deal-publishers, excluding journals from smaller publishers. I also doubt the statement that the farabove- inflation in serial subscriptions came to an end. Is this supported by evidence? Jeffrey, was this post a satire? If so, of what? Sorry if I am being dense, I just don’t get it. To which Beall responds by basically repeating his absurd assertion. Karen Coyle chose to point to my book The Big Deal and the Damage Done, which came about partly because of other claims that the Big Deal had solved the serials crisis, and says my analysis suggests Beall is wrong. His response? I think you’ve got it backwards. He should have read the sources I cite first. Jeffrey’s sources are better. He said so. Which is, in essence, what Beall’s trainwreck of a post boils down to: Beall’s right because Beall says so. And has mostly Beall and publishing industry assertions to back him up. Well, and eight New Zealand universities. So, let me check my understanding, the University of Denver, which charges outrageously high tuition, especially in its mediocre library school, is worried about people who don’t have access to some scholarly publications? If DU is so worried about “access,” then it ought to lower its tuition. Also, DU just completed a 35 million dollar renovation of its library and you whine about not being able to afford a couple four-thousand dollar journal titles? This doesn’t add up. Crawford, W. (2014). 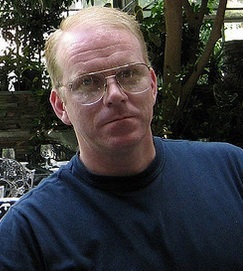 Sad case of Jeffrey Beall. Cites and insights, 14 (4).